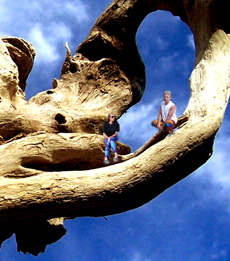 Coastal driftwood for sale South Africa. 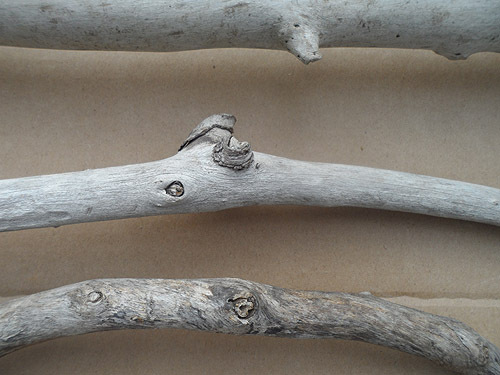 Buy driftwood for driftwood craft projects, driftwood wedding ideas or beach house decor ideas. Driftwood for sale – DRIFTWOOD LOT NUMBER 150119E – R160. Postage and handling & packaging is extra. Discounts apply if spending at least R200 for one order. One order may consist of several lots. No discounts on postage and handling & packaging. Be sure to go through our How to Order page, especially regards the 24 hour deadlines. 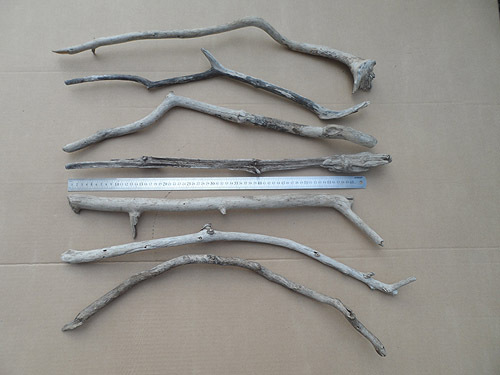 7 Driftwood pieces for sale for R160. Take note of the 60cm ruler in the photos to get an idea of the length of each piece. These pieces are not terribly thick, but are fairly strong. You could hang things from them that don’t weigh too much. The ruler in the photos is 60cm long and 2.5cm wide. Several photos are shown here of just this ONE driftwood lot 150119E. 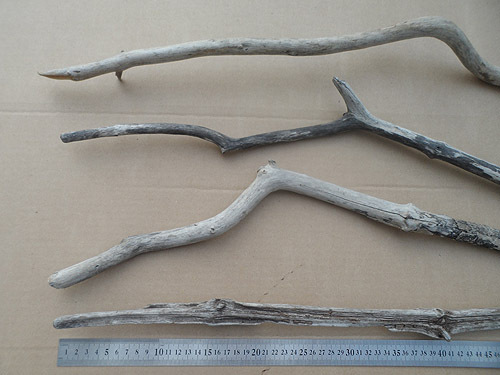 driftwood lot 150119E – attractive ends – maybe it’s just the end of these driftwood pieces that you find attractive. You can cut off what you don’t need or want. driftwood lot 150119E – close up interesting – often it’s just a part of a driftwood piece that may be interesting to you. driftwood lot 150119E – cracks – many driftwood pieces have cracks in them – driftwood is not manufactured, pieces will sometimes have cracks in them. Cracks add to the character of a driftwood piece, and don’t always necessary make the piece weaker or unattractive. 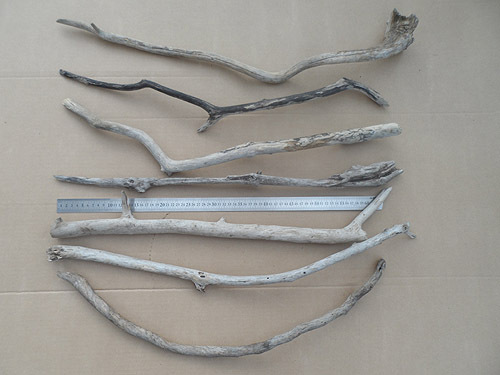 Possible uses or ideas for these 7 long and thin driftwood pieces include using them upright in a vase with flowers, adding rope or string or wire and hanging them (and hanging something light from the hanging driftwood pieces), or cutting each length into shorter pieces to use for your project that requires only shorter pieces. Scroll down on our Driftwood for Sale page to view other current driftwood lots for sale, or if you have already taken note of the driftwood lots you want, contact us now. This entry was posted in Driftwood, For Sale on January 22, 2019 by The Driftwood People - Terry and Tony. Welcome to the BLOG SECTION of our driftwoodforsale.co.za site! Beach House Decor Themed Items at RedBubble: Our (Terry and Tony of driftwoodforsale.co.za) own photos of our own products like the wood sea animal wall hangings we make from driftwood or reclaimed wood, printed on RedBubble decor items like cushions (throw pillows), floor pillows, duvet covers, wall clocks, etc. The ad banner below is for Mark Stuart's Furniture & Wood Craft Plans - check it out! 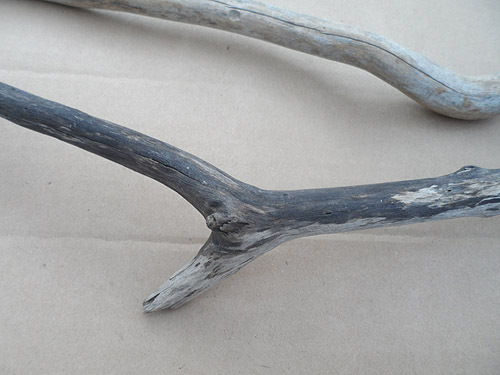 Looking for driftwood pieces to buy for your South African craft or decor projects? -- DRIFTWOOD PIECES FOR SALE! 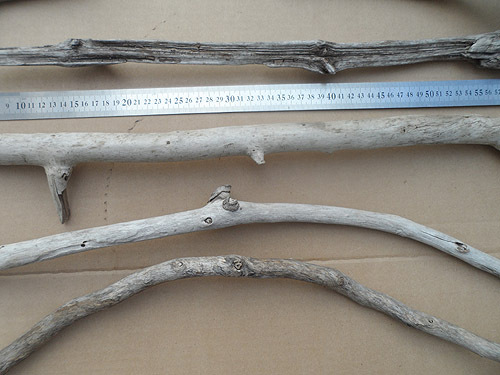 -- DRIFTWOOD PRODUCTS FOR SALE! 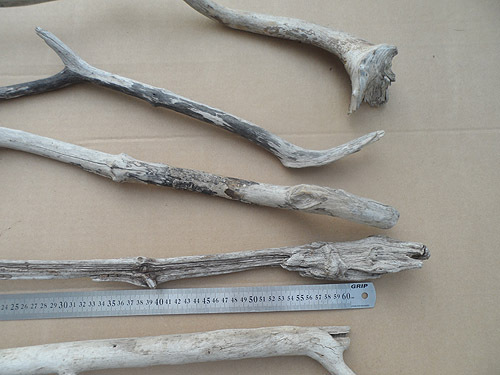 Driftwood Orders – Dream Come True or Nightmare? AFFILIATE DISCLOSURE Some of the links on this site are affiliate links. If you click on a link and then view, join, purchase, or perform other actions, I will receive an affiliate commission.